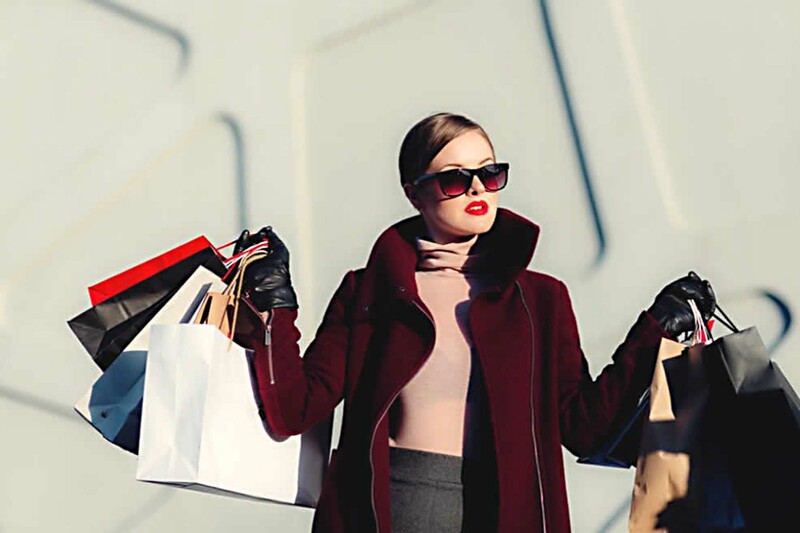 A recent report on State of Fashion-2019 by Mckinsey/BOF predicts a lower growth rate of 3.5 percent for 2019 over 4.5 percent in 2018. However, this growth rate is likely to differ by geography and segment. Novelty through new products, business solutions:A British survey revaled, an average person buys 60 per cent more clothes compared to 15 years ago. They are also retained for only half as long time. To maintain their novelty, brands need to respond quickly to changing trends, launch the right products and innovate their business models. Technology, social media enable instant gratification:According to a 2017 study, about half the respondents were influenced by bloggers, influencers compared to just 20 per cent placing faith on in-store assistants. To minimise the time between the want moment to have moment, players need to use technology solutions. Also, offline retailers need to promote products in-store with social/influencer credibility with real-time intelligence. Big data solutions guarantee maximum returns:With a potential slowdown in global economy by 2020, players willneed to work on key areas to get maximum returns on invested capital. This can be achieved by using technology/big-data to drive decisions along with human intuition. Improving market relevancy through start-ups:As per Mckinsey millennial survey, up-and-coming brands show high saliency and engagement in social media. Incumbents need to build a way to stay relevant by learning how to think small, working with start-ups, building innovation bandwidth internally or through an incubator. Artificial intelligence to deliver customised services:Artificial intelligence (AI) aids brands to mine a big pool of data on any specific subject. This information can help fashion brands to deliver customised services and to examine consumer’s preferences. More important, Artificial Intelligence has the capacity to play a complementary role in fashion design. With the help of AI, fashion designers can not only predict upcoming trends, dictated by current fast-changing environment of fashion, but also examine and minimise the environmental impacts in their production process. Increase in sustainable fashion projects:More efforts and deep expertise will be devoted to developing projects that save animals from suffering for the sake of fashion all over the globe. Stella McCartney, a well-known vegan designer, has already implemented many innovative ideas and presented garments made in a laboratory. The material of the garment was similar to silk but made from natural materials. 3D printing in fashion:3D printing enables professionals to transcend any boundaries of design, as it gives them a chance to turn the most improbable projects into reality.3-D textile projects, implemented despite their overall complexity, combine different materials into one piece of cloth, for instance, waterproof textile with a flexible one, and so on. Another important trend, customisation helps in achieving fittings depending on individual parameters, such as size, height, etc. Surely adoption of tech in fashion brings more value than is visible. Emerging methods of products’ access:Today’s consumers seek innovative, sustainable and affordable products. To achieve many brands are resorting to resale and rental consumers are shifting away from traditional ownership to newer ways to access product. Increasing transparency in brand operations:Ongoing data breaches at apparel companies have fueled a rising distrust that brands and retailers will need to counter. They’ll need to ramp up transparency, in many cases, as McKinsey explained, by specifying costs of materials, labor, transport, duties, and mark-up—a level of ‘radical’ transparency that has helped fuel success for companies like Everlane. Self disruption emerges a major norm:Technology and social media are enabling a new breed of ‘challenger’ brands that disrupt a sector or category where incumbent players have rested on their laurels. To compete and stay relevant among demanding young consumers, traditional brands are disrupting their own brands, offerings, and business models. Brands to provide value added services:E-commerce players will continue to innovate by adding profitable value-added services either through acquisitions, investments or internal R&D. They will strengthen their lead over those remaining pure players who rely solely on retail margins and existing offerings. Delivering on-demand:In 2019, more companies will step out to deliver on on-demand as many a startup in the space has already done. This will result in increase in just-in-time production, reduce levels of overstock and increase importance of small-batch production cycle. Made-to-measure clothing, the future of fashion:To cater to individual needs new made-to-measure business model will be the trend in future. Fashion brands are tailoring each garment to customer's size, body type and — in some cases — style preference. Businesses, such as Zozo and Red Thread, are using mobile technology to acquire a 3-D body scan for an accurately-sized garment, while others like Olivia Rose The Label -make their pieces, taking individual measurements and aesthetics into account. Digital printing emerges as the future of commercial printing:Conventional textile printing is giving way to digital printing in order to accommodate short runs, fast turnarounds, or new products. The market is supported by a complex and well-established textile supply chain, of which printers are only a very small component. Commercial printers therefore, need to focus on more accessible textile segments similar to applications they already produce, such as textile-based sign and display graphics and direct-to-garment (DTG). Textile signage market to grow:Keypoint Intelligence – InfoTrends’ wide-format consulting service reports the market for soft signage is expected to see a compound annual growth rate (CAGR) of 6 per cent between 2017 and 2022, reaching 91.3 million square meters of output by the end of the forecast period. Higher profit margins for soft signage applications:Soft signage applications have higher profit margins in relation to most other commercial printing applications. Based on 2017 estimated street price of $60.2/m from InfoTrends’ Wide Format Application Forecast, PSPs can expect a profit margin in the range of 40 per cent to 60 per cent. These margins are difficult to find in commercial applications. DTG printing to experience strong CAGR:According to InfoTrends, the DTG market will experience a strong CAGR of 13 per cent between 2016 and 2021, reaching a global value of nearly $10 billion. This segment is also witnessing new developments. The use of synthetic fibers (eg, polyester) is growing leading suppliers to seek ways to print directly into these materials. The market recently introduced a new pigment-based technology that enables the printing of white ink, followed by CMYK.